The Association for Challenge Course Technology (ACCT) is an international trade association dedicated to standards, government relations, credentialing, professional development and advancement of our members. 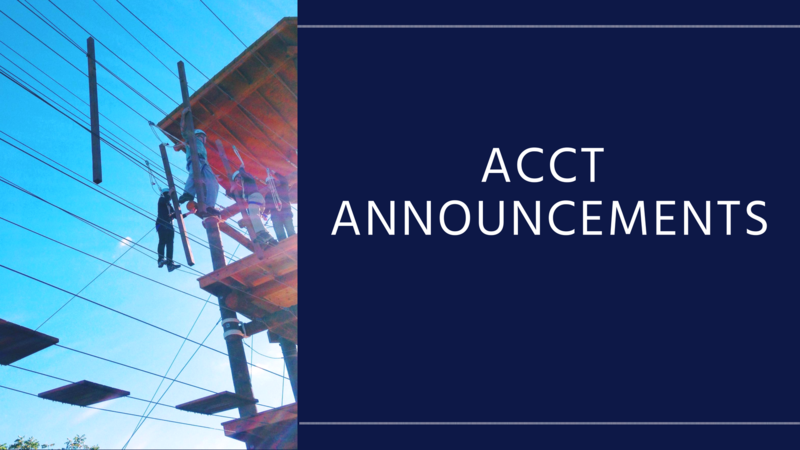 ACCT is an American National Standards Institute (ANSI) accredited standards developer for the global challenge course, aerial adventure park, canopy tour, and zip line industry. Membership with ACCT means access to research and resources, opportunities to network with challenge course and aerial adventure course professionals across the globe, ongoing professional development opportunities, safety advisories, and professional periodicals delivered directly to you, access to the most current copy of the standards, discounts on conferences and much, much more. Learn more about the ACCT Board of Directors and read the latest Board minutes.